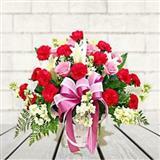 Flowers are the most amazing category of gifts available. 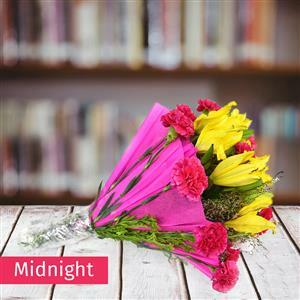 Surprise your loved ones in all cities in India by sending gifts on the first stroke of Midnight. 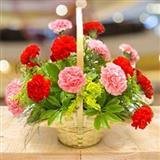 This amazing bunch of flowers consists of 4 Stem of Yellow lilies and 10 Red carnations make up this beautiful flower bunch. 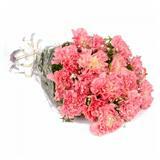 As lilies signify everything young, bold, beautiful & dramatic and Carnations express love, beauty, pride, fascination & distinction, this gift would surely be considered a symbolic gift. 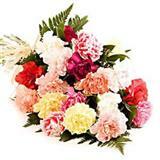 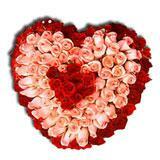 Order this alluring flowers along with other Gifts across India through GiftsAcrossIndia.com.